Holonic multiagent systems (HMAS) offer a promising software engineering approach for developing complex open software systems. However the process of building Multi-Agent Systems (MAS) and HMAS is mostly different from the process of building more traditional software systems as it introduces new design and development challenges. This paper introduces an agent-oriented software process for engineering complex systems called ASPECS. ASPECS is based on a holonic organisational metamodel and provides a step-by-step guide from requirements to code allowing the modelling of a system at different levels of details using a set of refinement methods. This paper details the entire ASPECS development process and provides a set of methodological guidelines for each process activity. A complete case study is also used to illustrate the design process and the associated notations. ASPECS uses UML as a modelling language. Because of the specific needs of agents and holonic organisational design, the UML semantics and notation are used as reference points, but they have been extended by introducing new specific profiles. Juan, T., Pearce, A., & Sterling, L. (2002). ROADMAP: Extending the Gaia methodology for complex open systems. 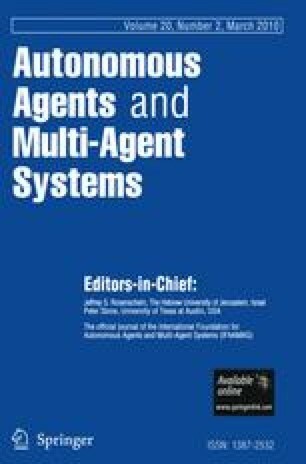 In AAMAS ’02: Proceedings of the first international joint conference on Autonomous agents and multiagent systems, Bologna, Italy (pp. 3–10). New York: ACM. http://doi.acm.org/10.1145/544741.544744. ISBN: 1-58113-480-0. Zambonelli, F., Jennings, N. R., & Wooldridge, M. (2003). Developing multiagent systems: The GAIA methodology. ACM Transactions on Software Engineering and Methodology, 12(3), 317–370. http://doi.acm.org/10.1145/958961.958963.